Growing among moss heather, crowberry, and Cladina ( the white lichen). Possibly a large Laccaria laccata, but that's just a guess. 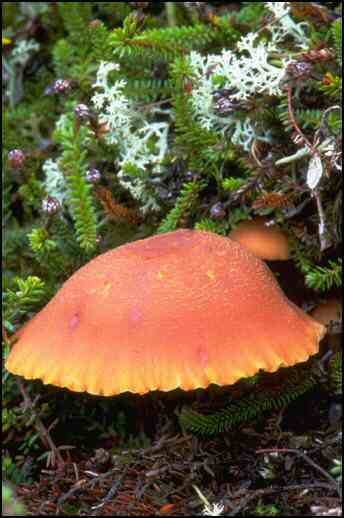 The small mushrooms buried in the heather look like my other Laccaria laccata.